Caught this big flathead catfish at the Cooper Lake Spillway in Texas. Caught with a rod and reel and using a sassy shad lure. It weighed 50 pounds and was 48 inches long. 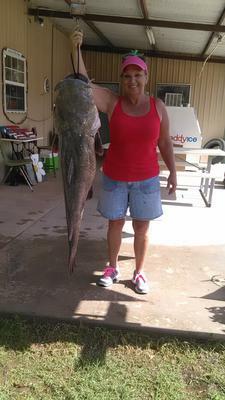 Awesome catfish, Kellie! I can only imagine the fight that beast put up trying to haul that big guy in. Nice job!